We had a rare opportunity to chat with Jennifer Glanville, a brewer and the Director of Brewery Programs at Sam Adams / Boston Beer Co.! We discussed the history of steinholding at the Sam Adams brewery and what they have planned for the 2016 Steinhoisting Competition. Check it out! USSA: Hi Jennifer, thanks for taking the time to talk with me. Can you start by telling me about your role at Sam Adams? What's your title and what are you responsible for? Jennifer: I am a Brewer and Director of Brewery Programs for the Samuel Adams Boston Brewery. I joined Boston Beer fifteen years ago. In my current role, I wear a few different hats. I work on new beer development with a collaborative, creative, and innovative team. We work together with other brewers and a team here at the brewery to develop new beers, new flavors, and ingredient trials. We have a nano brewery which is a 10-gallon homebrew system. The small batch size allows us to conduct trials using different ingredients, yeasts or different hopping regimes. Additionally, I oversee the team that is responsible for running the Sam Adams brewery tour programs and events. Some of our events give us the opportunity to not only have fun but to trial R&D beers or newly released beers and get feedback from our drinker. As you're well aware the craft beer drinker today is more educated than ever, so we can get feedback from them right at the brewery. We have "Test Batch Thursday" right now and what we do is invite folks to come down and they try four of our test beers and provide feedback to us. This is the type of thing we really love because we get feedback on our beers and it's a fun opportunity for people to try out beers that might not ever become commercially available. I work with Jim Koch (founder and brewer of Samuel Adams) on some of our special programs like Brewing the American Dream and our Brewing and Business Experienceship program. Every day is different at the brewery, but this is a glimpse into what a typical day involves. USSA: It definitely sounds like you are involved in a lot of different things there. Were you a homebrewer before you started? How did you get into the beer industry and end up where you are? Jennifer: I actually wasn't a homebrewer before I started working for Boston Beer. I've always loved beer and craft beer especially, although it wasn't called craft beer at the time. I worked in the tech industry in Cambridge. I was laid off from my job and knew that I wanted my next job to be one that I would love. I took my time to look around to make sure I found the right kind of company. There was a job opening at the brewery that included everything BUT brewing. The job description included a huge laundry list of everything that goes on at the brewery. I thought I can do some of that. Some of it I can learn along the way. I can BS my way in and learn along the way. I thought it sounded like such a cool job and I always loved Boston Lager. When I interviewed for the job, it was clear how passionate and how much everyone loved their jobs and working for Jim Koch. Fortunately, everything worked out and I took the job. About a year in, I was on a tasting panel and Jim asked if I wanted to take the concise course in brewing over in Germany and come back and run the brewery. And, that's how the brewing piece started for me. I have homebrewed since I started working here, but I prefer to brew on our nano system rather than doing it at home. That's my career path in a nutshell. USSA: It was a really roundabout journey that you took to get to where you are today. Jennifer: If you asked me 15 years ago what I would be doing, I would have laughed. I would have said "someone's going to pay me for this?!" USSA: What would you say is your favorite thing about your job? Jennifer: I love playing with the different flavors and ingredients and I love the freedom that we have here to craft beer. I have brewer friends who work for larger breweries and smaller breweries and none of them have the same kind of freedom to explore flavors and recipes and try new things. We have a great collaborative spirit and we just get together and create recipes. We will get ingredients and, I love the people. Not only do I work with some of the best people in the industry in my own brewery and organization, but I also get to interact with craft beer drinkers which is great. It's a cool business. Beer itself and events like steinhoisting have a way of bringing people together. 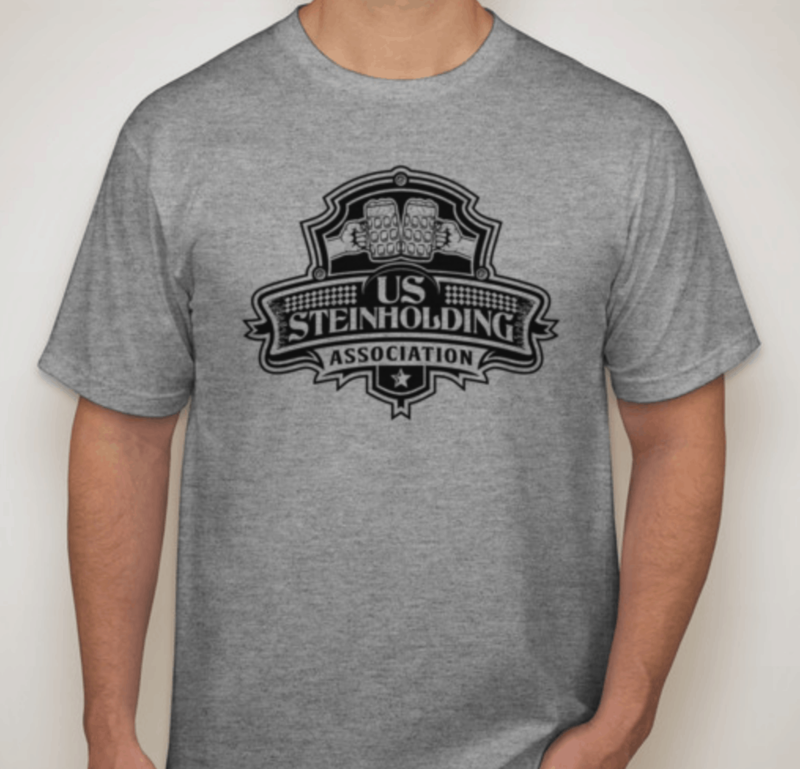 USSA: I absolutely agree with that, certainly from the steinholding perspective. In the years that I've been competing, I've met so many other competitors from across the country that I've become friends with. The camaraderie is absolutely my favorite part of the sport. It must be great to have a job like that. Jennifer: Yes, and I think that steinhoisting is a good analogy for the craft beer industry. You have people being friendly and getting together to compete but it's friendly competition. People can't believe I'm friends with other brewers. Of course, we're competitive, but we all want to make the best beer possible. And that's great for the industry and for the drinkers. Steinhoisting really sums up what I think is great about being in the beer industry. USSA: These are the types of competitions where really everybody wins. Jennifer: Well I have to tell you, I never win at steinhoisting. And, I tell people you better practice if you're going to do this. People laugh, but it's no joke. USSA: Absolutely. Training is key or you're going to embarrass yourself out there. What can you tell us about the history of the Sam Adams Steinhoisting competition? And what was the inspiration for the competition when it started back in 2011? Jennifer: We actually have been hosting smaller local competitions at the brewery here in Boston at various events for years, even before 2011. Some of our salespeople even ran small promotions around the competition. We could see that people were always interested and it was fun. It brought people together in the spirit and tradition of beer. We wanted to do something that would let us share that feeling all across the country, so that's why we decided to launch the national competition in 2011. USSA: How will you be running the competition this year? Will there be regional semi-finals and where will the finals be held? Jennifer: We have a special website dedicated to the steinhoisting competition this year which is samofest.com where people can find local competitions and get signed up. The three strongest times for both men and women go to the finals of the competition in Las Vegas. These competitors will get a 3 night stay in Vegas for the championship. The winner of the finals in Las Vegas wins a trip to the 2017 Oktoberfest in Munich. USSA: That's pretty sweet. How many qualifying locations are there going to be? Jennifer: There will be hundreds of locations around the country. We try to make it so that everyone can find a place that isn't too far away to compete. There will be more and more posted on our website as we get them confirmed, so check out samofest.com to see what's going on near you. USSA: In the years that Sam Adams has been running these competitions, what are some of the challenges that you've faced implementing this nation-wide? Jennifer: Like you said earlier, it's a very simple concept. The biggest thing is having good judges in place to make sure that the competitors are following the rules. That and making sure that no one starts drinking their beer before the competitions starts! USSA: That can definitely be a challenge. 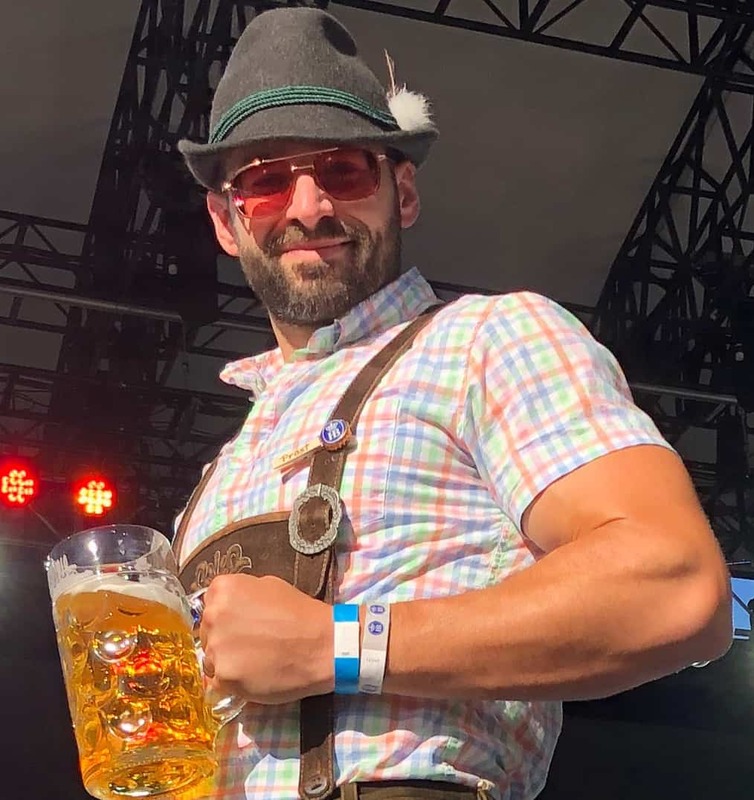 When someone hands you a nice big stein full of beer, every instinct in your body is telling you to take a sip of it. I know from experience that it's really tempting. It's definitely a mental game. Jennifer: I almost feel bad for the competitors, especially some of the people that go for so long. Check out part 2 of this interview where we get more into Sam Adams beers, brewing topics and homebrewing . Find the Sam Adams Steinhoisting locations near you at samofest.com and check out the other cool events that Boston Beer Company puts on at //www.samueladams.com/brewery-and-craft/brewery-events!